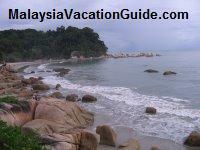 Pulau Tioman has been voted as one of the most beautiful island in the world. 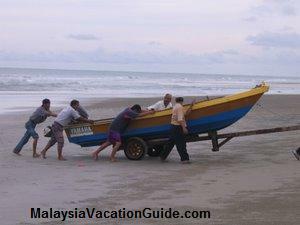 The island is situated 56 km off the coast of Pahang in the South China Sea. The main island span an area of 38 km in length and 19 km in width at its widest point. As the North Easterly wind brings torrential showers from November to February, the best time to visit this island is from March to October. Visibility of the water during this time range from 20 to 30 metres. 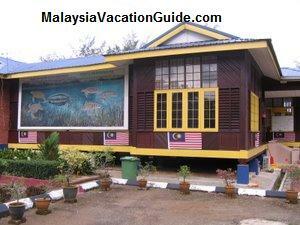 Tioman is the largest island that formed the Tioman Marine Park. Other smaller islands which are also a snorkelling and diving sites include Tulai Island, Chebeh Island, Sepoi Island, Labas Island, Sembilang Island, Seri Buat Island, Jahat Island and Tokong Bahara Island. Being gazetted as a Marine Park in 1995, you will be able to see the array of marine life as you go snorkelling or scuba diving. Notice the barracudas, the Napoleon fish, turtles, stingrays, murray eels, bump head parrot fish and the corals that surround this place. If you are fortunate, you may be able to spot the dugong or seacow, a rare marine mammal south of the archipelago. 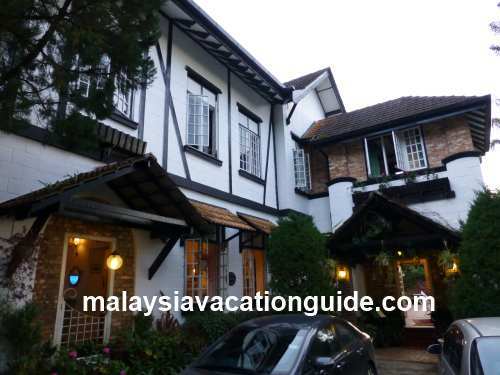 The Berjaya Tioman Beach, Golf and Spa Resort is located at Tekek village. It is the island's only international standard resort with 596 rooms. Golfers will be glad to know that there is the 18 hole international standard golf course located within this resort. Mountain climbing and jungle trekking are some of the activities that you can do over here. Discover the Asah Waterfall30 minutes from Mukut, the Lubuk Tija Waterfall approximately 30 minutes from Juara village. Along the way, see and take pictures of the fireflies, mouse deer, colourful birds, Bonsai and the varieties of flora & fauna in this tropical forest. 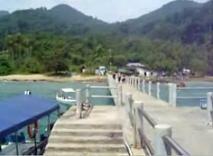 See the video of the main beach of Tioman Island with its coral reef and sea creatures. 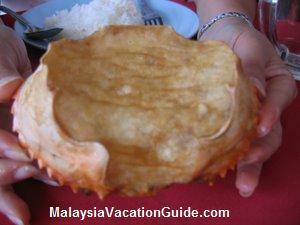 Be fascinated with this video of HawksBill Turtle in Tioman Island. 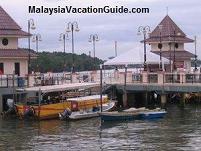 See other activities that you can do while you are in Tioman Island.